Evening rainbow over Bears Ears Buttes, Natural Bridges National Monument. 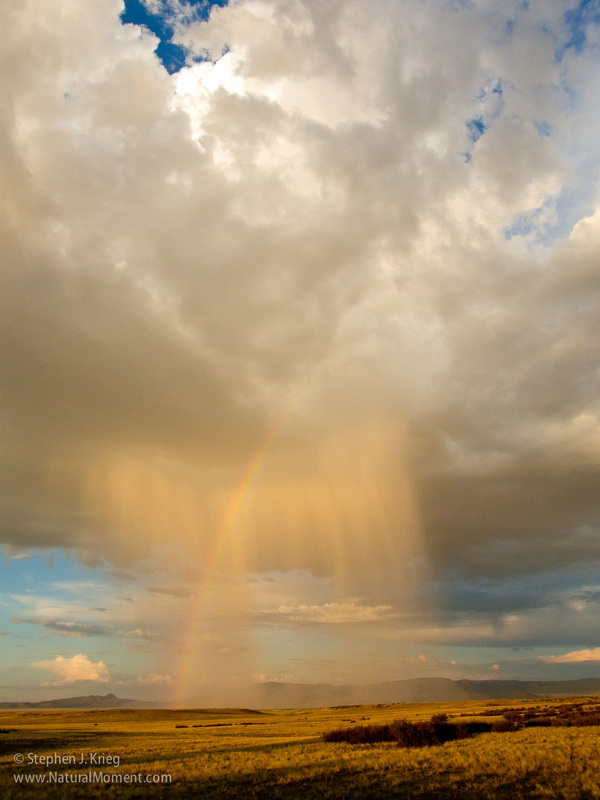 It has been a rare wet spring in the high desert of southeast Utah and the Four Corners region. On top of that, this week-end has brought a lot of extra moisture up from Baja, from a tropical storm down there. Straight up through Arizona to San Juan County, Utah. We love the rain. All desert dwellers do. The tourists, though: not so much. Especially with the muddy roads around here, slick as grease when saturated. That makes sticking to paved and gravel surfaces a must for a time, greatly limiting where some people had planned to go into our amazing backcountry. The international travelers are even more perplexed. This is high desert Utah? Where is the famous sunshine and heat? How am I supposed to get iconic pictures in this? A young couple from Europe was in the Visitor Center yesterday afternoon. We were standing at the windows, watching the sweet smelling rain pour down. “In fifteen or twenty minutes this might well let up and we could see a rainbow” I said. They looked at me, uh, kindly. As in: okay, then we hope so, too, but you’re crazy. Soon the sky started to brighten to the west. 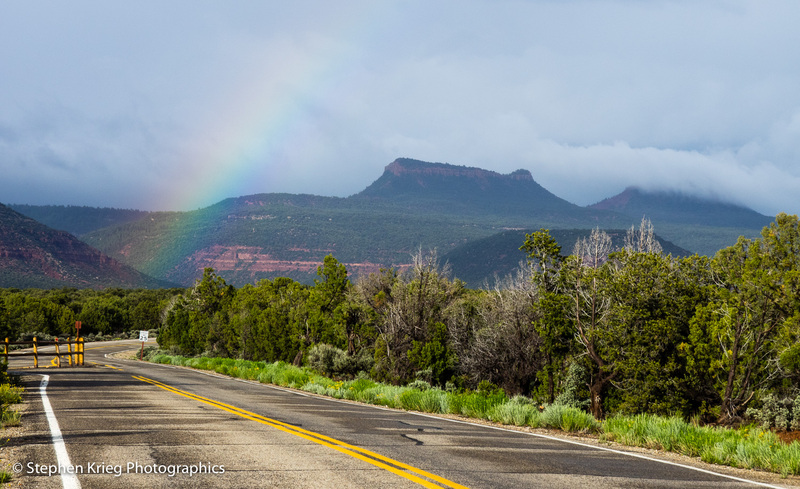 After a few more minutes a brilliant rainbow appeared just above the Pinyon pine and juniper trees, toward the Bears Ears Buttes above us to the east. The rainbow faded after just a few minutes, but the couple got to stand leaning up against each other, admiring it before it disappeared. Not long after was a second rainbow, which another family got to enjoy. And I didn’t have my camera. 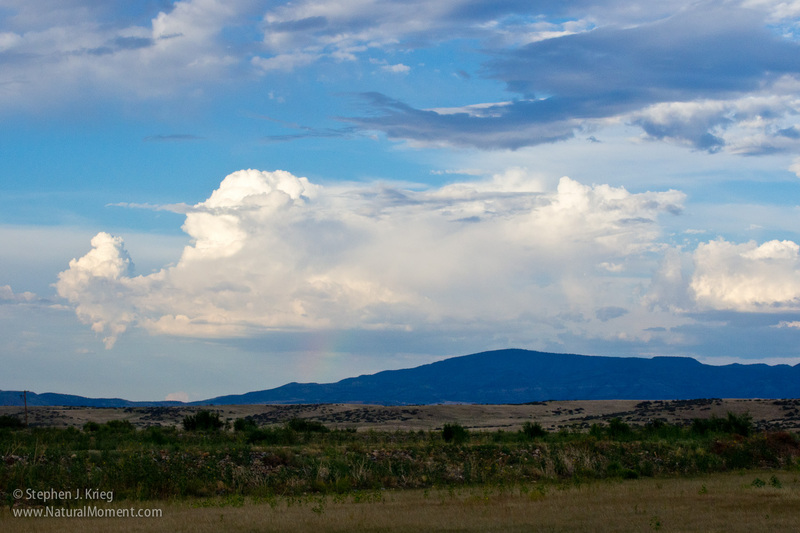 About an hour later, a third, partial rainbow appeared. This one I got some shots of. Three separate rainbows from the same location in the same evening. Pretty rare. Way exceptional. I drove out under the heavy skies, looking for water flowing. Several washes were running, though many had already drained. 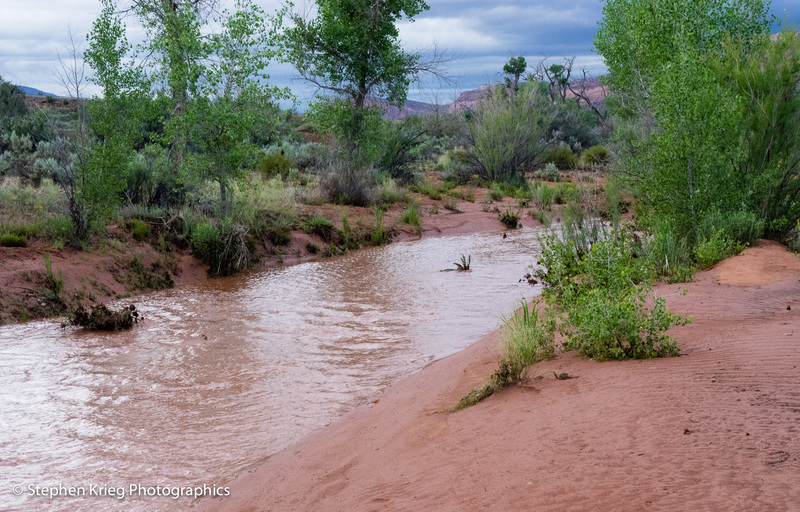 Over at normally dry Comb Wash I got out to document the muddy stream flowing. It had already gone down by at least a foot. Soon it would become a dry wash again. “Never park your vehicle in a dry wash”. This flow was mild compared to what can happen with little warning. Comb Wash flowing after rain. Photo locations: Natural Bridges National Monument and Cedar Mesa, San Juan County, Utah. I walked out into the early evening light. Glorious summer day, the moisture of blessed rains teasing through the afternoon. To the east loomed Woodchute Mountain, dark blue on the horizon. A white billowing thunderhead cloud above. And, underneath, a bit of rainbow. Somehow the evening sun had found a slit in the western clouds and lit up the rain. Just a bit of it. Mountain, sky. Summer. Rainbow. Heading home to shower up from another hot summer day and relax in the cool blessed night. Fall will arrive soon. Meanwhile, such grandness in the highlands heat.